R.W. Lindholm House in Cloquete, Minnesota. A Frank Lloyd Wright-designed home that spent 60 years in the Minnesota town of Cloquet, located about 20 miles southwest of Duluth, has been deconstructed and shipped to Pennsylvania for conservation. The R.W. Lindholm House, completed in 1952, spent several years on the market without finding a buyer. 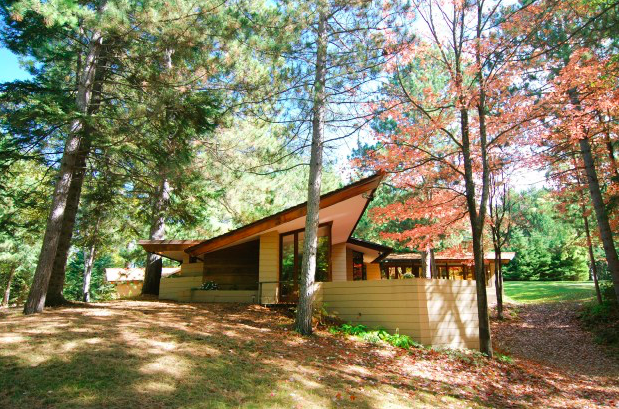 Owners Julene and Peter McKinney referred to the home as Mantyla — in Finnish, "house among the pines" — and wanted to preserve the visionary architect's work. The couple descends from Ray and Emma Lindholm, who commissioned the house and its famous gas station counterpart in downtown Cloquet. According to the Duluth News Tribune, the R.W. Lindholm House will be reconstructed at the 130-acre Polymath Park in Acme, Pennsylvania. The structure will be preserved on the park's "architectural grounds" open to public access. “This is a decision we didn’t take lightly and I know some people might be upset that a [Wright] house is leaving Minnesota," said Minneapolis architect Tim Quigley, one of several specialists overseeing the relocation. "But I must say that we think more and more and more people will have an opportunity to see it out there than ever had the opportunity to see it in Cloquet." 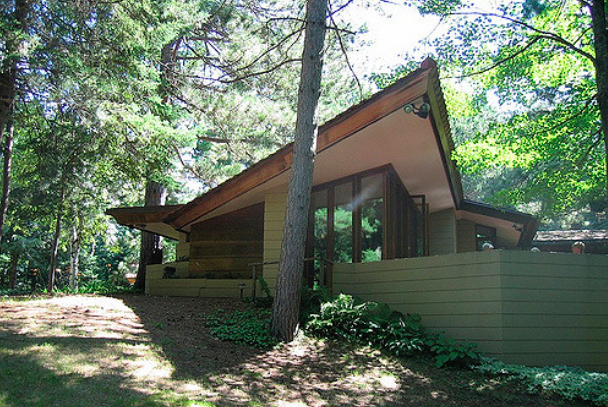 Wright, who was born in Wisconsin and designed many houses in the upper midwest, had 11 structures built in Minnesota prior to the relocation of the R.W. Lindholm House. The three-bedroom home, built on a 7-acre property, was secretly deconstructed over four weeks in April and May to avoid visitors dropping by for souvenirs. At 2,300 square feet, its slanted planes and orientation on a hill presented some considerable challenges to those tasked with dismantling it piece by piece. A concrete "superstructure" and foundation were both demolished, Quigley said. Side of R.W. Lindholm House. It's not as if there weren't any interested buyers in Minnesota. Some expressed a desire to move it to a new location, while others who wanted to live there in its original setting were put off by encroaching development. At one point in 2009, the home was listed for $975,000, but it had remained vacant for the past two years. 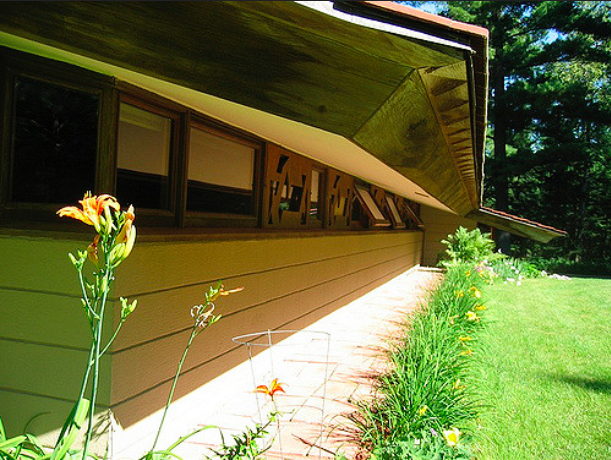 The McKinneys eventually donated the home to Usonian Property Inc., a nonprofit group linked to Polymath Park. The Lindholm House will join three other houses at the park, including Wright's Duncan House and two houses designed by his apprentice, Peter Berndtson. Park visitors can expect to see the home completed in spring 2017.